'Star Power' (Mary Dunn, R. 1993) Seedling L122-3. LA, 36" (91 cm), Midseason bloom. 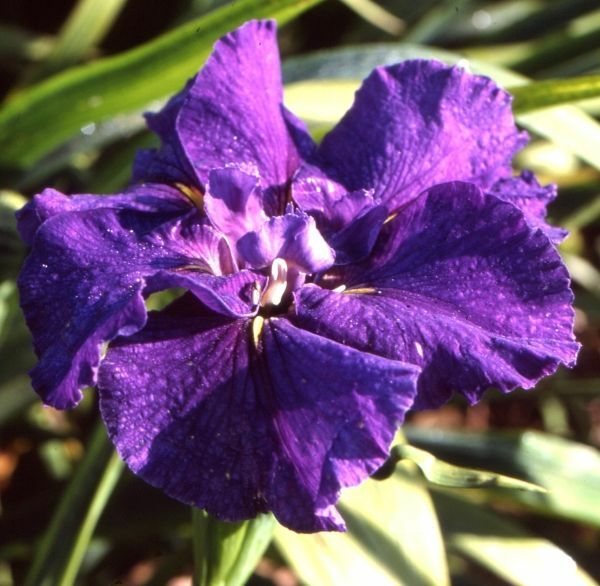 Ruffled velvety plum purple, medium-size spear-shaped gold signal. L78-1: ('Bajazzo' x 'Full Eclipse') X 'Clara Goula'. Bay View 1993. Honorable Mention 1998.